Donald Trump was joined by Maricopa County, Ariz.., Sheriff Joe Arpaio at a new conference in Marshalltown, Iowa, during last’s year presidential campaign. President Donald Trump has pardoned Arpaio following the former sheriff’s conviction for intentionally disobeying a judge’s order in an immigration case. 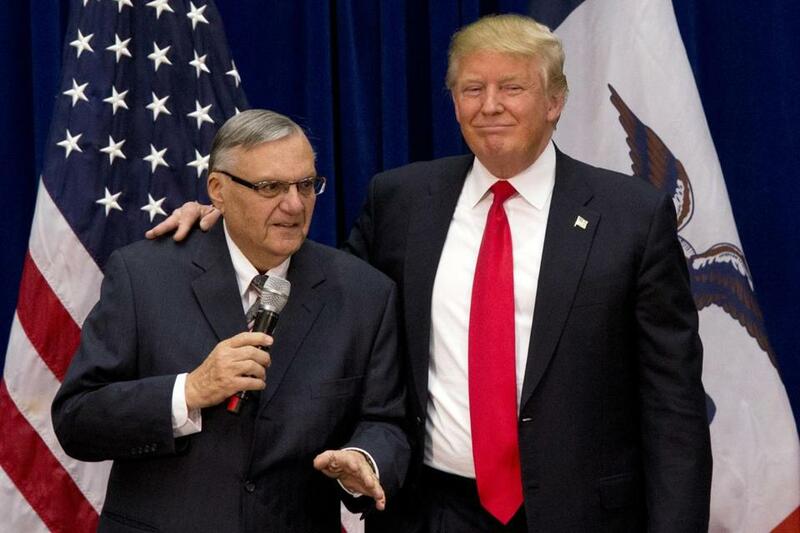 However distasteful, the fact is that President Trump has the legal authority to pardon Sheriff Joe Arpaio of Arizona for his criminal contempt conviction, in accordance with the US Supreme Court’s 1925 ruling in Ex Parte Grossman . Grossman was ordered to stop selling liquor during Prohibition. He ignored the order and was jailed until a presidential pardon led to his release. The district court that had issued the original contempt order persisted and rearrested Grossman, finding that contempt is an offense to the “dignity and authority” of the federal courts. To allow the executive to intervene in the contempt process, the court held, would undermine judicial independence. That warning is prescient: Were Trump to use the pardon power to advance his personal financial interests, or those of his family, or to obstruct an investigation into his abuses of power, hoping to silence those who may implicate him — there should be consequences, namely, impeachment. Indeed, Arpaio’s pardon may be just the first act, an attempt to send a message to Trump loyalists that the president has their back if the investigation got too close to his inner circle. But given Ex Parte Grossman, they shouldn’t count on it. This scenario is not farfetched. If Trump is prepared to show disrespect for the Constitution and the courts in a case in which he is not involved, imagine what he will do in one in which he or his family is involved. Arpaio was found guilty of willfully defying a court order that he stop racially profiling Latinos and violating their constitutional rights. He claimed authority under Arizona law to detain people on the suspicion of civil violations of federal immigration law, like overstaying a visa — without any reason to believe that they had committed a crime. In fact, there was no such authority, just as the Massachusetts Supreme Judicial Court found under Massachusetts law. After the court enjoined him from continuing his unconstitutional practices, Arpaio told his deputies not to take the court’s rulings seriously. He not only violated court orders, he lied to the court again and again. The plaintiffs, for example, found out that his officers had been audiotaping and videotaping the illegal stops, but never mentioned that during the trial of the case. Hardly a politically skewed prosecution, the judge who initially found him in civil contempt was appointed by George W. Bush, and reportedly a conservative. Outrageous presidential conduct has to be countered, and not just criticized, or it will become the new normal. Read: Where is the justice for Arpaio’s victims? When it was clear that civil contempt penalties were not enough to deal with the Sheriff’s misconduct, the judge referred the case to the US attorney’s office, who charged him with misdemeanor criminal contempt. 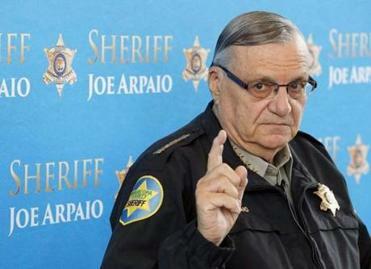 To ensure the neutrality of the process, a new judge heard the charge and Arpaio was found guilty. Like Trump, who challenged whether President Obama was born in the United States, Arpaio’s racism was blatant. Also like Trump, Arpaio was not coy about touting his profound disrespect for the court and its orders in television interviews and campaign appearances. No wonder Trump identifies with him. Nothing about Arpaio justified a pardon — not in this case, not in his career. He proudly described his jail as a “concentration camp”; taxpayers paid millions to settle charges of brutality; Latino prisoners were singled out for special humiliation. This time it’s Arpaio. Who is next? And for what purpose? An issue of principle or self preservation? When the president threatens to pardon people to cover up his misconduct or that of his aides or his family, Congress, following the Supreme Court’s suggestion, should say: Not so fast!